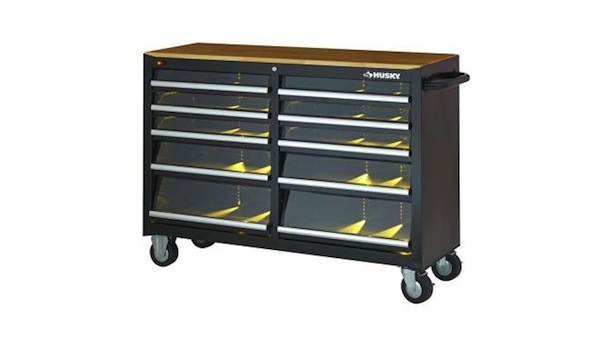 There are exactly two factors that make this a great tool cabinet ($330). Number one, transparent faces. No more opening every single drawer looking for the screwdriver pile. Number two, LED lights. Tools need to be illuminated, and we dream of a day when all drawers everywhere come standard with LEDs. Until that day, we’ll settle with this. Which brings us to the one bad thing about it: can’t seem to find it on the Canadian version of their site. What the hell, Home Depot? Are we now crossing the Medicine Line in search of both exotic whiskies and tools?